You have questions and we have answers! Below, we answered frequently asked questions about homemade kefir making. If your question is not listed below, please send us an e-mail. 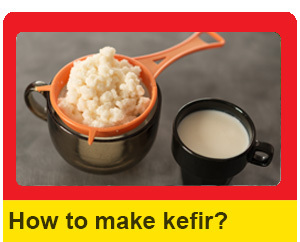 Basically kefir is a fermented milk drink. 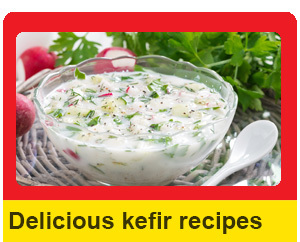 For more information please visit What is Kefir page. Kefir grains resemble bits of boiled cauliflower, but are rubbery and slimy to the touch. For more information please visit What are kefir grains page. How to make homemade kefir? Kefir making is very easy. We have a step by step guide for people who want to make homemade kefir. Where can I find real kefir grains? Real kefir making starts with real grains. Finding real grains could vary depending on your location. Please check our kefir finder and choose your country. Kefir and yogurt are both categorized as bioactive and cultured dairy products. However, the production process, taste and texture, and benefits of each vary greatly. Please visit our Kefir versus Yogurt page for more information. What are the benefits of homemade kefir? Ingesting kefir milk has both probiotic and prebiotic effects. 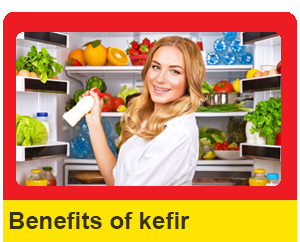 Please visit our Benefits of Kefir page for more information. Humble shepherds are believed to be the first kefir producers. Please visit our Where does kefir grains come from? page for more information. What do I need to make kefir at home? We have listed the best tools to make homemade kefir. Please click here to see the tools you need to make homemade kefir. There is no limit to the amount of kefir a person can drink in a day. If you want to know more about this topic please follow this link: How Much Homemade Kefir Can I Drink in a Day? We are here to help. If your question is not listed above, feel free to ask.